Recently our Bplans audience had the chance to attend a free webinar on Small Business Taxes, hosted by the CEO and founder of TaxAlli.com, Zach Olson. The webinar was extremely informative, and we had a lot of great questions from our attendees. As a follow up for our registrants, and in case you didn’t have a chance to attend, we’ve provided Zach’s slide deck above, and the transcript from the webinar below. We also included some questions that were asked during the webinar that Zach generously took the time to answer during the following week. Do you want to be invited to our next webinar? Create your free Bplans account, and you’ll start receiving email updates about all of our great free member resources, including invitations to our upcoming webinars. Have a tax-related question? Post it in the comments below and we’ll follow up with you! Hello everyone & welcome to today’s webinar. My name is Zach and I will be hosting today’s event. 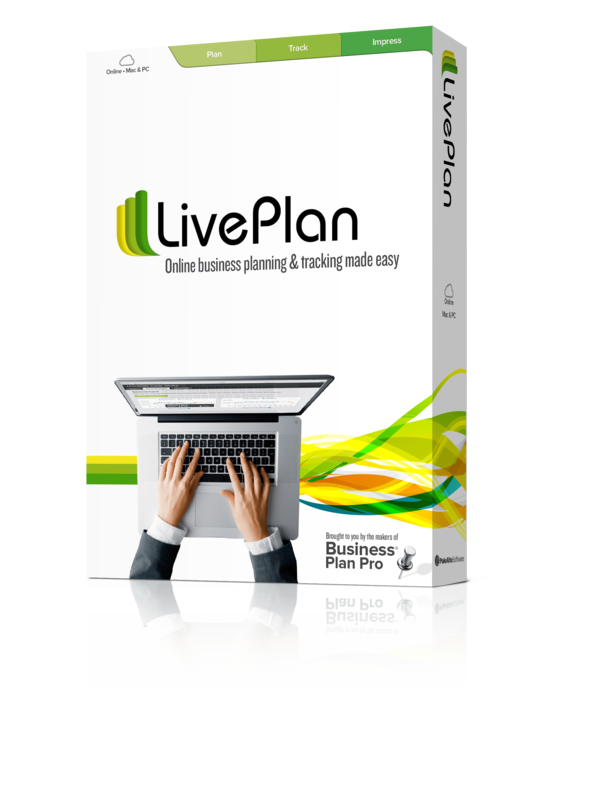 I’m definitely excited to be the guest presenter today and working in conjunction with LivePlan. We will be covering a lot of different information today related to your business so I’m sure we will stir up some questions. We will do our best to field those as time permits. However, at the end of the webinar you will get an opportunity to request a one-on-one consultation with one of our small business advisors and we can take some time with specific questions. Before we begin, now would be a good time to settle in, shut the office door, turn your phone on silent and maybe grab something to write with if you wish to take some notes. First, let me start off by giving you some more background so again my name is Zach Olson and I’m the founder and CEO of TaxAlli.com. 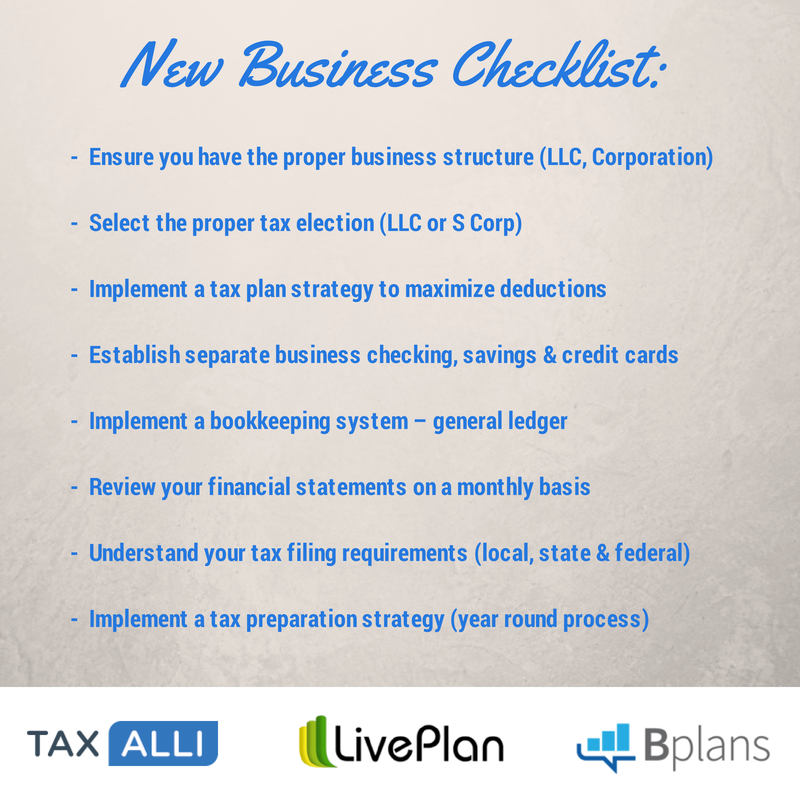 At Tax Alli, we pair you with real life accountants and use cloud software to make small business accounting awesome. TAKE THE POLL: Are you a first time business owner? Well, for you that have run a business before some of the topics we will be covering today you might be familiar with already – but I’m sure we will also cover some new ground for you as well. How business taxes work, tax deductions, bookkeeping, and tax filing requirements. TAKE THE POLL: How is your business currently structured? What we want to do is “lay a foundation” for understanding how taxes work for different types of businesses structures because one of the biggest mistakes we have seen business owners make is they get out there and set up their business without understanding the tax side of it first. The problem with that is once the money hits your hand; unfortunately we can’t go back and change the way you pay taxes on it, but of course that is why we are talking now so we can help you avoid that. No sense in going 10 steps forward and 15 backwards. So the first thing to understand with your business is how the taxes work and what the IRS requirements are so you can stay in compliance. One of the easiest ways to start a business is to operate as a sole proprietorship, but easy doesn’t really mean the best. An “S” corporation is a special corporation that’s taxed like a partnership. The corporation pays you a reasonable wage for the work you do. If there’s any profit left over, it passes through to you, and you pay the tax on that income on your own return. So the S corporation splits the owners income into two parts, wages and pass-through distributions. Here’s why the S corporation is so attractive. You’ll pay the same 15.3% tax on your wages as you would on your self-employment income. BUT – there’s no Social Security or self-employment tax due on the dividend pass-through. Let’s say your S corporation earns the same $80,000 as your proprietorship. If you pay yourself $40,000 in wages, you’ll pay about $6,120 in Social Security. But you’ll avoid employment tax on the income distribution. And that saves you $5,184 in employment tax you would have paid as a sole proprietorship without the S-corporation vs LLC with an S corporation tax election. It is also important not to confuse an S Corporation with a C Corporation. One of the major differences is with a C Corporation we run into the issue of “Double Taxation”. Essentially with a C Corporation, the company would pay taxes first on it’s income at the corporate tax rate then any income paid to the owners would then be taxable again at the individual tax rate. Typically a C Corporation is a good idea when: You need to raise equity, to maximize medical deductions or you plan on using multiple classes of stock. You actually can’t transfer from being an S-Corp to an LLC. You would actually need to dissolve your Corporation and form a new LLC. Actually, no, the first thing the state or IRS is going to look at is your “Nexus” or your physical place of business. If you lived in California but had a Nevada LLC or Corporation and conducted your day-to-day activities in California you would be required to foreign register that business in California. So essentially you would then be required to file a return in California. Yes, an S Corp (one or multiple shareholders) is still a pass thru entity, even though it has a separate tax return due. The tax return is due on the 15th of March. You should receive a K-1 (Profit/Loss) statement that you will attach to your personal tax return due the 15th of April. As a business owner there are well over 300 different tax deductions you could be eligible for. But one of the biggest mistakes most business owners make is failing to plan. With that many deductions we can’t wait until the end of the year to worry about what we can and can’t do – No matter how good you and your accountant are with a shoe box full of receipts on April 15th if you don’t have a strategy already in place it is too late. Now a big area of confusion for a lot of business owners is the difference between a tax deduction and a tax credit. Tax credits provide you a dollar-for dollar reduction of your income tax liability. This means that a $1,000 tax credit saves you $1,000 in taxes. On the other hand, tax deductions lower your taxable income and they are equal to the percentage of your marginal tax bracket. For instance, if you are in the 25% tax bracket, a $1,000 deduction saves you $250 in tax (0.25 x $1,000 = $250). A tax credit is always worth more than a dollar-equivalent tax deduction, because deductions are calculated using percentages. I use this explanation to help put a better emphasis behind what tax planning can do. Another misunderstood deduction is the home office. Most taxpayers fear they raise audit flags. But home offices can potentially save business owners thousands in taxes and for the most part they are easy to qualify for. New for 2013-tax season, the IRS has released a “safe harbor” method that may make home office deductions more accessible. The new procedure, outlined in Revenue Procedure 2013-13, lets you deduct a flat rate of $5 per square foot, for up to 300 feet of qualifying office space. You’ll still deduct your mortgage interest and property tax attributable to the space on Schedule A as usual. But you won’t have to calculate any actual expense or depreciation deduction for the space. On the downside, if your simplified home office deduction reduces your income below zero, you can’t carry if forward to future years, as you can with the regular deduction but you can determine year-by-year which home office deduction method to use. You don’t have to elect one and lock yourself into it for the future. Leasing a vehicle requires special computations. Only the costs related to business are deductible–the expenses must be allocated between business and personal use. If, like most business owners, you use your vehicle for both business and personal purposes, you must allocate your vehicle costs associated with the business separately from those associated with commuting or personal use. If you want to make sure that you get the maximum deduction and are willing to keep meticulous records of every vehicle-related expense, you can opt to use the actual cost method for computing your vehicle expenses versus deducting the milage. If you use the actual cost method, you can deduct each lease payment as a rental expense. Here is a guest blog article we wrote regarding tax credits. TAKE THE POLL: Do you think you are missing out on tax deductions? Having a well thought-out bookkeeping system will do two things for your business. (1) Strictly from an operational standpoint, it will help you save money. Understanding your cash-flow is just good business. Each month you should be reviewing your Profit and Loss Statement in addition to your Balance Sheet to keep a finger on the pulse of your business. (2) It will help you stay in compliance. As a business owner, the IRS puts what is called the “Burden of Proof” on you, so basically it is your job to be able to prove your income and expenses. Not to mention good bookkeeping is the best defense against an audit. Bookkeeping in its simple form is a general ledger that contains all the accounts for recording transactions relating to your business’s assets, liabilities, owners’ equity, revenue, and expenses. So one of the first fundamental steps for keeping your business finances in order would be to set up separate checking and savings account just for the business. But probably the biggest offenses we see is business owners who have separate accounts, but still use the business account for personal expenses or visa versa. I know it doesn’t seem like a big deal but when it comes to commingling funds it is one of the biggest issues that trips up small business owners. 2. You can take an owner draw or distribution. 3. Have the company reimburse you for business expenses that you paid out of your personal pocket. The main difference between the two is with a W-2 wage you will be responsible for payroll withholding, where as with draws or distributions you won’t be subject to any withholding. They key is being able to transfer funds from the business to you without mixing them together. TAKE THE POLL: What is your current bookkeeping strategy? One area that gets most small businesses in a bind is not understanding their filing requirements. No one starts a business to try and become a tax expert; however, a lot of business owners get slapped with penalties and interest for not fully understanding what they are required to file – or worse they end up owing a bunch of money that has already been spent. Personal Taxes Versus Business Taxes: What’s the Difference? Can I Do Better on My Taxes Next Year?